Since a few of the parabens have been put on the poo-poo list, I have been exploring a few alternative preservatives and trying them out in different products. One of these is a preservative called Benzyl Alcohol (INCI: Benzyl alcohol). 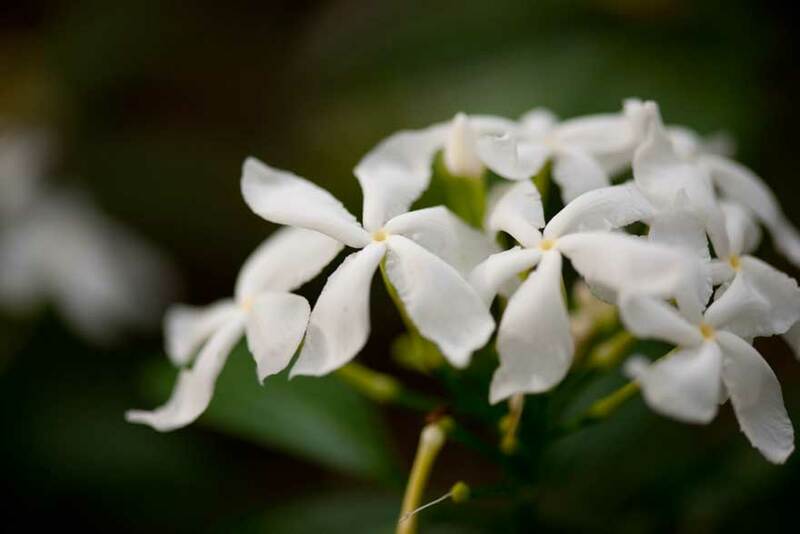 Benzyl alcohol is produced naturally in many plants (such as jasmine – pictured above for your viewing pleasure), fruits (such as strawberries) and some essential oils (such as ylang ylang). Because it derives from aromatic material, it has an inherent scent. Some are not too pleased with the almond-marzipan-like aroma, but in many products, this can be taken into account when composing the scent. Personally, I find the scent quite pleasant (but then, I love marzipan). Benzyl alcohol functions by killing or preventing the growth of a broad spectrum of bacteria, yeasts and moulds, and is ideal for emulsions as well as soap or water-based produtcs. I have therefore been trying it out in everything from skin tonics to hair and bath products (hair & body wash, shampoo) and must admit – so far, it seems to be functioning as well as my old faves, Ethyl and Methyl Paraben. The (unreliable) Environmental Working Group gives benzyl alcohol a rating of 'moderate hazard', which I found a bit confusing until I saw what their concerns were. Their conclusion: if you stay within the limits of use and don't overdose, there are no concerns. There was, however, one area listed as 'unkown', and that was whether or not there should be concerns when the ingredient is inhaled. Apparantly there are as yet no studies on this as yet. Benzyl alcohol is frequently used as the preservative for intravenous medicines. You'll also find it in photographic developer. I've used before Cosgard (a mix of benzyl alcohol and dehydroacetic acid) with good results, and even the fact that it is liquid is helpful for dosage. Concerning benzyl alcohol all alone, do you think it could be enough just itself as a preservative or would it be better to associate it to another one, as potassium sorbate (for moulds and yeasts)?